Winter is one of the most exciting times in the Pacific Northwest. 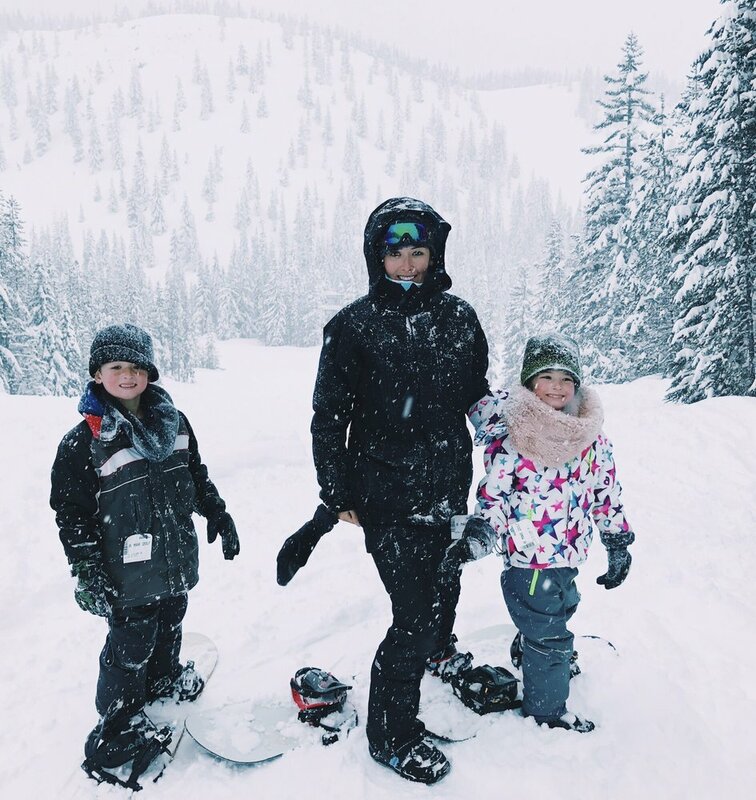 We’ve got some of the best ski areas in the world, and they make the perfect play day for Portland families looking to have a little fun. So, grab your Sno-Park pass, and enjoy epic family adventure PNS-style. Find out where you can purchase tickets, rent gear, and find the best ski areas below. Read on for all the details. Small, but complete with a lodge that serves hot food and drinks, a chair lift, and a tube hill, Summit Ski Area is great for families and novices. The resort backs up its boast about being a great place to learn to ski or snowboard and providing a variety of lessons for skiers and snowboarders of all ages and abilities. They also offer Jr. All Day lift tickets that cost only $31 for anyone between the ages of 7-11. 90255 Government Camp Loop Rd. Meadows offers varied terrain that challenges all skier levels on over 2,150 square acres from Heather Canyon to South Canyon, and from Buttercup to Show Off, there’s something for everyone. For children between the ages of four and fourteen, camps, lessons, and clubs are available. With thirty-four lifts, 1500 feet of vertical drop, and sixty-five runs, there are hours of fun to be had at Skibowl. There are more black diamond runs than at any other ski resort in the state and two fully lit runs. For younger skiers, there are kiddie snowmobiles, a kiddie carousel, Frosty’s Playground, and an indoor play area. Escape the speed demon crowds, and enjoy downhill’s quieter winter kin—cross country skiing. Enjoy twenty kilometers (12 miles) of groomed trails, relative solitude, and a spectacular view of Mt. Hood once you pass frozen and snow-covered Teacup Lake.There are groomed tracks and a skating lane. Teacup’s pristine trails stay that way because dogs and snow shoes are not allowed, and a friendly emphasis on a particular standard of trail etiquette. A day-use cabin is there for warming up and is open to the public most Mondays, Wednesdays, Saturdays, and Sundays. Check the website for race schedules when local high school competitions take place and access to Teacup Lake for the public is limited and check the website for directions. Tips for Getting Ready to Ski with Young Children. Expect shorter skiing days and take plenty of the right kind of gear, as well as plenty of snacks and water. Children’s growth spurts make buying a little frustrating financially, so renting is a great option. The one piece of gear to purchase, though, is a good helmet. Here are a couple of ski shop outfitters. The Mountain Shop offers a wide array of outdoor gear, including skis and ski rentals for everyone in the family. Staff are friendly and know their gear and want you to have a great day outside whether you’re snowboarding or splitboarding, cross country skiing, skate skiing or telemarking, or alpine skiing or touring, they’ll be able to help. They have a repair shop, too. Check the website for rental prices. Next Adventure offers outdoor gear to purchase, rental equipment for outdoor pursuits, and a variety of classes from show shoe tours to cross country day trips to wilderness first aid. Check the website for rental prices and the repair shop, class schedules and costs, and to shop online. Note: It’s always a good idea to check weather and road conditions at the link to Oregon’s Road and Weather Conditions at Trip Check.